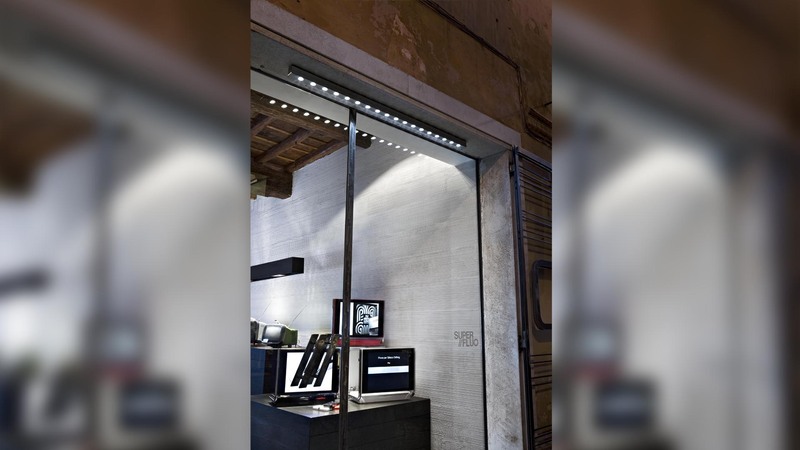 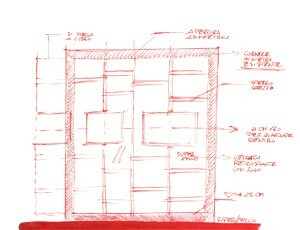 The first Brionvega and Super//Fluo showroom has opened in Rome’s old city centre. 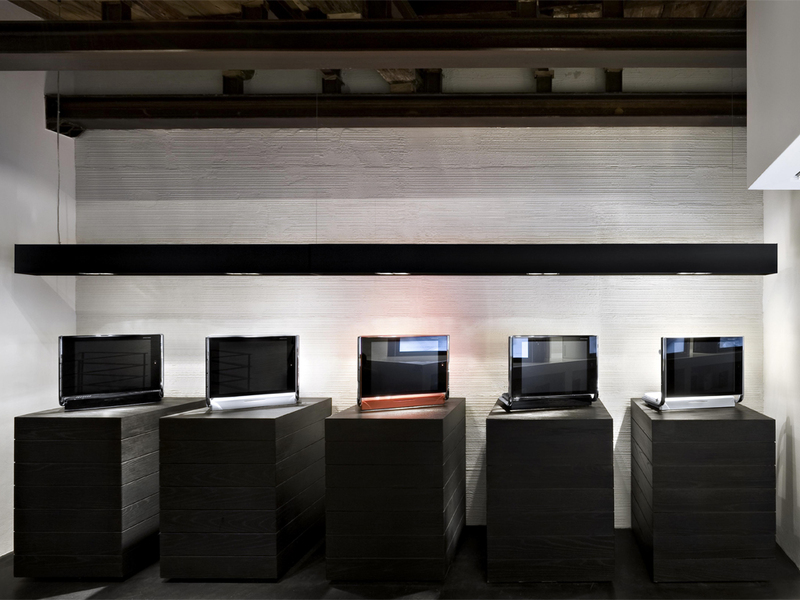 The Brionvega television sets are arrende over 10 cuboids made of wood slaves which have been flame treated for a very special effect with soft ligthting hanging from black iron bars. 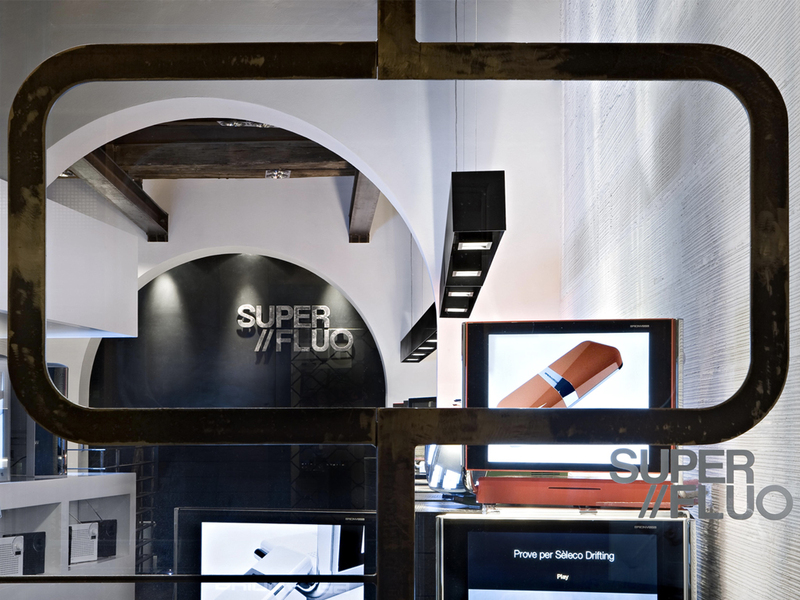 The Super//Fluo TVs are displayed on the opposite side within a single big furnishing element which cuts diagonally across the showroom space and diffuses soft light towards the objects as well as the ceiling. 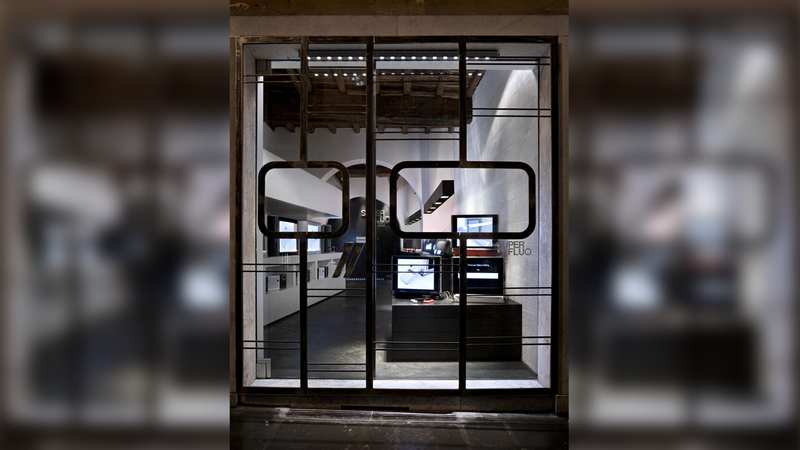 The showroom window is protected by folding mailing made of raw iron which call to mind a world made of aerials and screens. 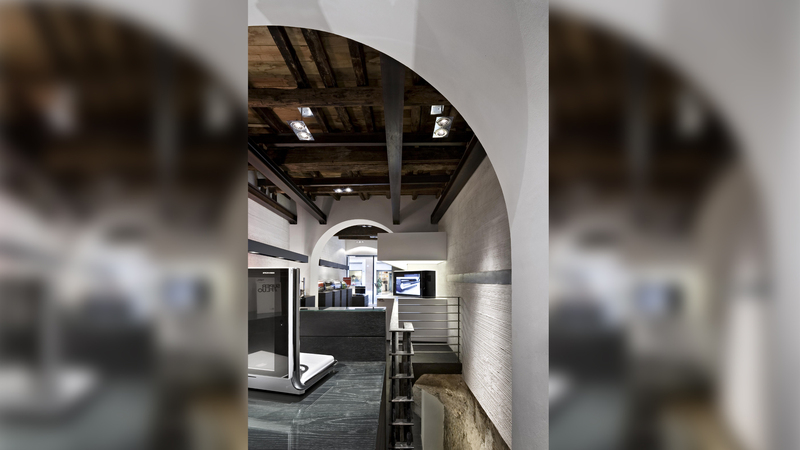 The polished beauty of the products designed by V12 Desing is futher enhanced in the showroom space distinguished by a combination of poor materials chosen to create a blend of elegant and delicate contrasts.